Casino War is one of the easiest games you will ever find in a Casino. 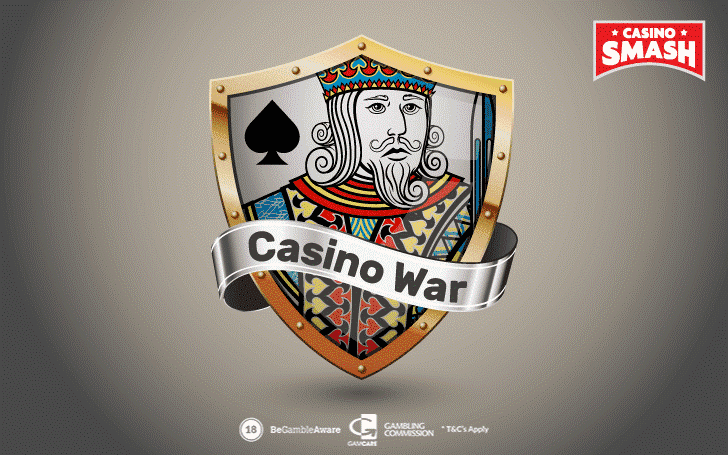 Check out how Casino War works and discover which bets give you the best odds. Although Casino War is probably not the smartest game you can play at a Casino, its simplicity and resemblance to other popular card games are what usually convince everyone to sit at the table and play a game or two. If you don't know what Casino War is and you want to find out if you can beat Casino War, keep reading this article. You are going to find an answer to all your questions. However, if you don't know anything about this Casino game and need a detailed rundown of the rules, you can visit the page where I tell you how to play Casino War step-by-step. Casino War is possibly the easiest card game you can find at a Casino. In a game of Casino War, six decks of cards are used. The dealer deals one card (face up) to all the players in the game and themselves. Your card is higher than the dealer's one: you win. Your card is lower than the dealer's one: you lose. Your card matches the dealer's card: the fun begins. In the event of a tie, you can choose to surrender or to go to war. The first option allows you to leave the game at the cost of half your original (Ante) bet. While the 'war declaration' offers you the chance to stay in play. As long as you can bet equal amount to the original Ante wager, that is. Once you go to war and place your bet, the dealer burns three cards and deals one card to you (and to all the other players who have decided to go to war) and to themselves. If your second card is lower than the dealer's second card, the dealer wins and you lose both bets. But if your second card matches or beats the dealer's second card - the original wager is paid off. Casino War: One (Dirty) Trick to Avoid. Experienced players, especially the ones who really like to gamble, know that there's a small Casino War trick that can help them to win (or lose) a lot of money. If you want more action at a Casino War game, you can place a side bet on the fact that your first card will tie the dealer's one. It’s called a Tie bet. Now, although this bet is usually paid 10 to 1 (!!! ), my advice is not to go down this road. It gives the Casino an advantage of 18.65 percent. Let’s make one thing clear: if you’re looking for a fast-money-making online Casino game, play something else. Casino War is in not going to make you rich in a matter of seconds. But if you are looking for a fun game to play that doesn't need to you to stay at the table for hours, Casino War is a solid choice. Now that I’ve explained the basics of the game, let’s answer the most common question about this game. The answer is plain and simple. You should ALWAYS go to war. Even if I’ve just told you that by doing so you risk twice your original bet for only a single payoff. Sure, you may think that there's no reason to risk your money to win only half of your bet. But it is definitely better to risk two units than to sacrifice one just because you don't feel like continuing. Casino War strategy that states you should always go to war in case of a tie has a house edge of 2.88%. Casino War strategy that states you should always surrender in case of a tie has a house edge of 3.70%. With all that in mind, still up for playing ? You’re in for a treat. But before you start, here goes five Casino War tips you should always keep in mind. Never surrender. Every time you decide to quit, the house edge moves from 2.88 to 3.70 percent. Always go to war. By doubling your initial bet to force the dealer to deal one more card, you bring the house edge from 3.70 to 2.88 percent. Never take the side bet. If you want, you can bet on the fact that your first card will match the dealer's one. This bet pays 10 to 1 but gives the house an advantage of 18.65 percent. Really, it's a sucker bet. The house gets a better edge only in games like Sic Bo, Big Six, Keno, and some Slot games. Avoid this sucker bet at all costs. Keep an eye on the Aces. The Aces are the highest cards in Casino War which means that once you get an Ace you can only win or tie. If you see that no aces have been dealt for an extended period of time, you can be sure that one will appear shortly on the table. Casino War isn't as popular of a game as Blackjack, Roulette, or Slot machines are. 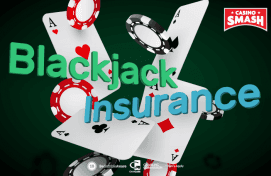 So, you won’t find it at every single land-based or online Casino. While I can’t advise you which brick-and-mortar Casino to choose, I’ve played at a fair share of online Casinos to know which ones have the best Casino War(s) games. Can I let you on a little secret? This Casino offers beginner-proof games at very low stakes. Also, before you dive in with real money, you can sign-up and practice the games completely free. And there is a pretty neat welcome bonus involved if you ask me. But I don’t want to spoil it too much - . Bonus info: terms and conditions apply to the offer. If something isn't clear, have a look at our review of La Fiesta Casino for the T&Cs in full. The offer on this article might have expired by the time you read it. Please refer to the review pages for the latest bonuses and promotions available.